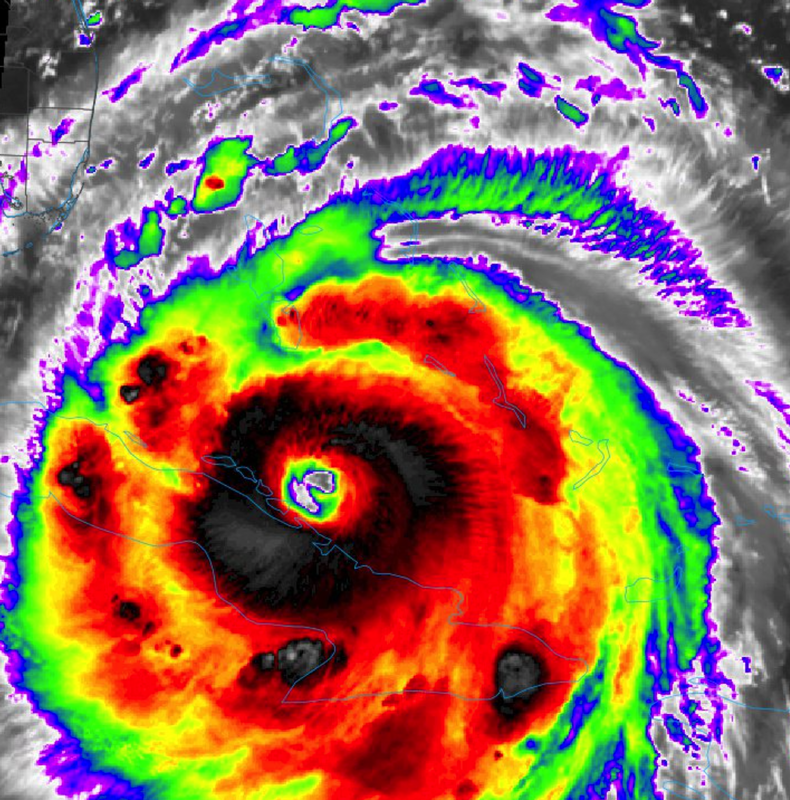 Based on satellite and other data, I believe Hurricane Irma is back up to Category 5 status with regard to wind speeds, even though the eye is a mess. The latter is likely due to the proximity to Cuba's north coast. Satellite image from 7:25pm. Now, the question is: How much will the interaction with Cuba weaken Irma, if at all? We won't fully know the answer until tomorrow morning. The key question: Irma has the same wind speeds and is larger than Andrew. If you are in an evacuation zone, why are you still there? !